belle in the city | a north carolina diy + lifestyle blog: Monday already? This weekend was definitely busy, but so enjoyable and productive for sure! Friday night I worked the Florence + The Machine concert. It was a gorgeous night for a concert outside and I just love the atmosphere at our downtown amphitheater. Saturday we went to the NC State game and enjoyed the beautiful weather we were having..even though it really didn't feel like fall with the 80+ temps. How cute is this cookie cake T's mom picked up? Love it! We also got our new greek key pillows in the mail on Saturday for the guest bedroom. Just a couple last touches and that room will be completely finished..can't wait to share it with y'all. Oh and I also think I finally got the hang of flat iron curls..and let me tell you, it is so much faster than using a curling iron. 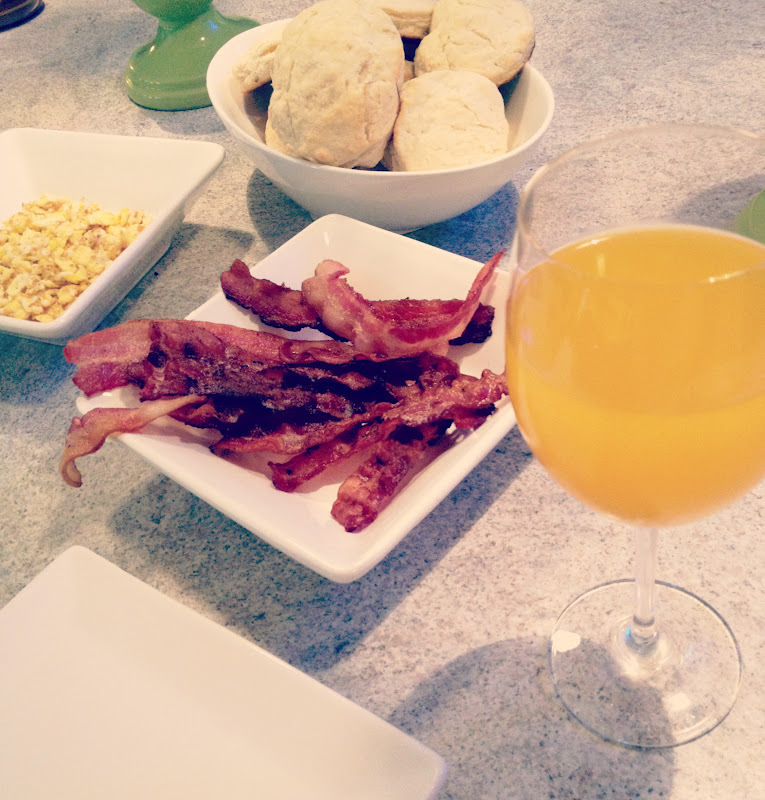 Sunday we enjoyed a yummy Southern breakfast at home and spent the rest of the day cleaning and organizing the house and the garage. That cake is so cute! And you need to make a tutorial on curling your hair with a flat iron! I've never been able to do it. Your hair looks gorgeous like that! I second the tutorial on flat iron curls. I just can't seem to get the hang of it! Your breakfast looks so good! I'm starving now. Ha! YUM on that breakfast! I bet F&tM was super great in concert...love them. And I seriously am loving those greek key pillows...super cute! Where did y'all get them from? And I love flat iron curls...that's the only way I'll do mine anymore! So much easier than any other way! Happy Monday to you! Love your hair! And breakfast looks incredible too. i love those pillows! Such cute style! Can't wait to see it all put together! I am so jealous you got to be at the Florence & the Machine concert - looooooooooove. Also, your curls are amazing, and you look adorable as always! How cute is your hair?? Totally wish I could do flat iron curls. Oh, and that bacon looks delish!! I love those Greek key pillows! In LOVE with those fab pillows! Can't wait to see finished product. P.S. My bro graduated from NCState--go Wolfpack!